More protection doesn't mean less green. Green Cell Plus adds a recyclable moisture-resistant barrier to Green Cell Foam's biodegradable packaging materials. 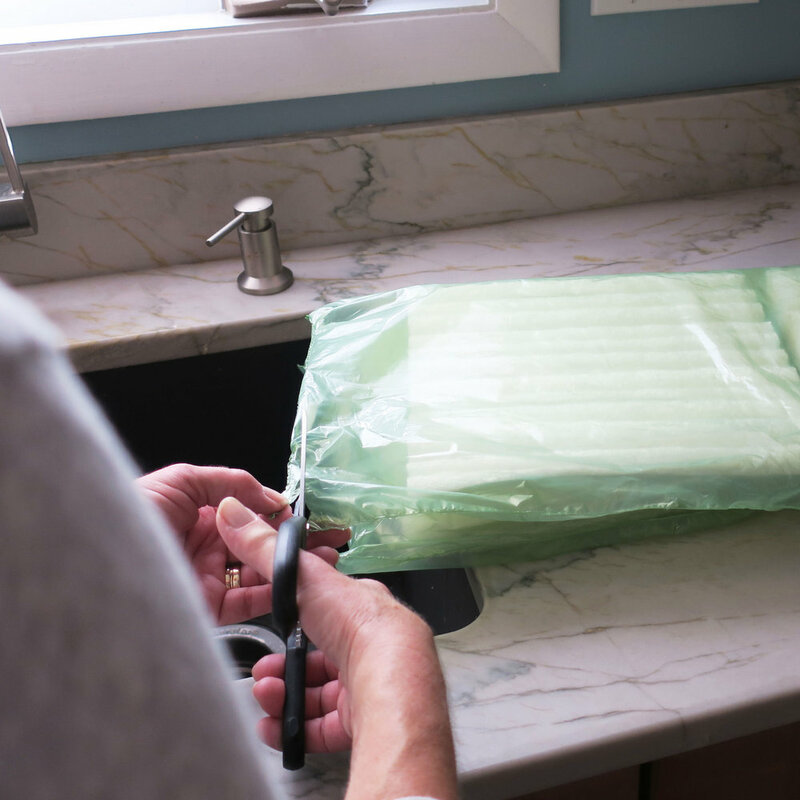 Green Cell Plus takes 3-panel sections of Green Cell Foam and envelops them in a polyethylene film to provide an effective barrier against moisture and humidity. The plastic film is readily recyclable in most communities. Tear the film and remove the Green Cell Foam panels. Recycle the film with other #4 plastics. Place the Green Cell Foam panels in any compost pile, yard waste container or dissolve them in a sink or bucket of water. For more disposal information, please click here.